Fantasizing a College Football “Super-Division” and “Irresistibly Delicious” 64-Team Playoff System! Millions now play Fantasy Football. Let’s play our own version and “fantasize” a college football Super-Division with a true 64-team National Playoff. It could be “Irresistibly Delicious“! And also solve a number of problems with the current D-I football playoff system. I began by brainstorming. I first learned about “brainstorming” as an exercise to boost to creativity while in architecture school. In a brainstorming session, you keep tossing out ideas, which may be excellent or may be silly, to problem solve. You don’t reject any ideas at first. Instead, you massage them to build a concept that works. So, let’s brainstorm a College Football Super-Division with a true 64-team National Playoff and put it out there in the public forum. The first questions we need to consider are: Is the current playoff system broken? Do fans want a new, more exciting approach? 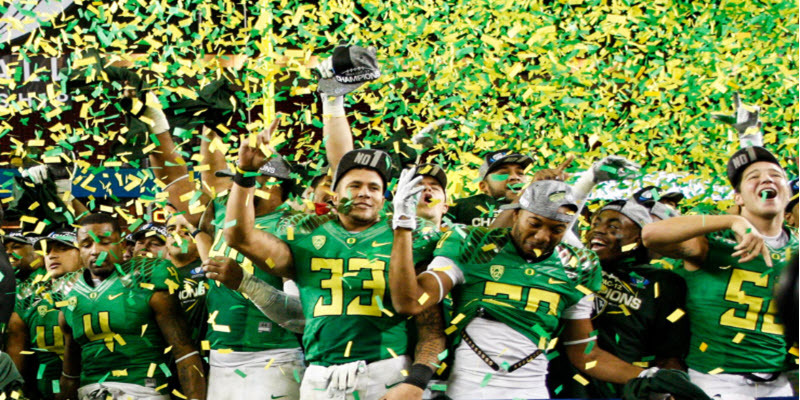 Is Something Wrong with College Football? Several sports outlets have reported significant attendance declines during the 2017 season. Is it time for a major shakeup? A re-invigoration of the game? Fans sense it. 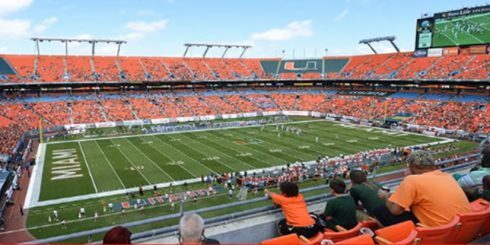 Did you notice how e – m – p – t – y many college football stadiums were in 2017, only halfway through the season? Cameras deliberately avoided showing the empty seats. – Dennis Dodd, CBS Sports, Feb 13, 2018. It’s not only the stadiums that need to change, though. To re-invigorate the college football fan-base, we need to look at the entire bowl/playoff system itself. My sense is that while Americans still love college football, there is an understanding that Division I-A Football is a rigged system, where a small group of good ol’ boys (both money men and commentators) run things. Fans understand that only a select group of teams are allowed to play for national championships. That it doesn’t matter how well a team plays and how many games they win; if they are not in the favored few, they will not have the opportunity to play for the Natty. Think of Central Florida in 2017, TCU in 2010, Boise State in 2009 and Utah in both 2004 and 2008. 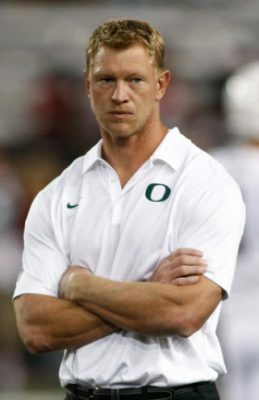 Scott Frost at Central Florida was not pleased with the current system. The present rigged system isn’t fair. Consider how every year 10,000+ young men and over 1,000 coaches begin preparing for the Division I-A college football season. Most have been making enormous investments of time, blood, sweat, tears and even money to improve themselves and their performing ability. These young men all deserve a chance to truly compete for The Great Prize, the National Championship. But few will be allowed to do so, no matter how well they and their teams play, how brilliantly they are coached or how many games they win. Why? Because they don’t attend the “right” college, or they are not in the “right” conference. So, their hard work doesn’t count. The present Division I-A system is a slap in the face to the thousands of young men who work so hard. It simply is not fair! Another huge problem is the now ingrained notion that losing a game or two early on destroys a team’s season. Commentators are usually responsible for this, some making uninformed or biased comments. When fans are told this, it helps to destroy interest in watching those teams for the remainder of the season. All these issues seem to me to be getting worse. I want more excitement in NCAA Division I-A college football. I’m tired of the status quo. Coach Mike Leach has called for a similar playoff system. It’s simple. Give players and coaches, every one of them, the opportunity to decide their own fates, to create their own glory on the field without some “Committee” or “Ranking” by sportswriters telling them what they are allowed to accomplish. Organize the process for success. Make the process 100% data-driven, so human opinions and biases don’t distort results. Then, sprinkle all over with incredible excitement. 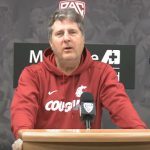 So … with Coach Mike Leach at Washington State calling for a 64-team college football playoff, borrowing concepts from the superb examples of the NCAA March Madness basketball tournament, the FIFA World Cup, and the NCAA College Baseball World Series, let’s create a ground-breaking, jaw-dropping extravaganza for college football fans: An “Irresistibly Delicious” National Playoff. I call it “Irresistibly Delicious“ because of the riveting, attention demanding, fascinating, “delicious” details that deliver excitement and unpredictability. But, is a true Division I-A 64-Team National Playoff even possible? The 64-team playoff ideas I’ve seen extend the season into late January. Can you do it within the confines of a standard 12-game college football season? How can it be structured? Let’s turn NCAA Division I-A Football into a 16-Conference “Super Division”. It makes it much easier to coordinate conference play and move smoothly into the 64-team National Playoff. 16 Conferences, of eight teams each, all will play a seven-game, round-robin conference season. There are five games in a playoff format to provide a full 12-game season for each team, but with unique twists to the match-ups and game sites that will generate suspense, enormous excitement and continuing fan interest. 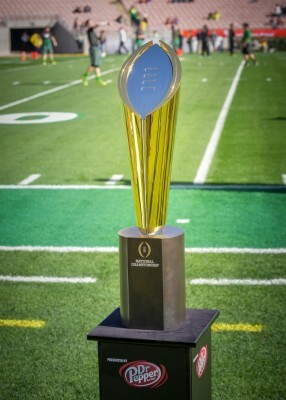 After the 64-Team National Playoff of five games, there will be a variety of options for an eight-team, a six-team, four-team or two-team National Championship. You can have as many bowl games as wanted. All of the elements of the “Irresistibly Delicious” system are deliberately calculated to serve the best interests of players, coaches and fans while enhancing everyone’s college football experience. I’ll explain the details in following articles over the next few days.